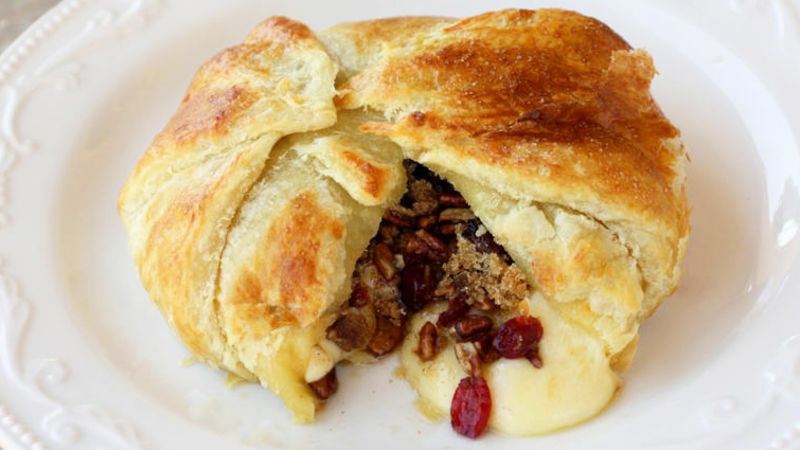 The "en croute" in cranberry brie en croute loosely translates to "baked in pastry." There are other en croute recipes such as boeuf en croute (beef en croute) and saumon en croute (salmon en croute) and while these dishes sound delightful, when it comes to anything baked in a pastry we admit, we’re partial to cheese. That’s why we created an impressive hot appetizer that looks way more complicated than it really is. If that’s not a cheese lover’s dream, we’re not sure what is. No one has to know that this seemingly complex dish took only 30 minutes from start to finish. Thirty minutes to make a flaky, golden brown pastry, filled with warm, ooey gooey brie cheese, sweet and salty nuts and tart cranberries? They wouldn't believe us anyway.